Braceros returning home ride a bus departing from Stockton, Calif. in 1956. This image by Leonard Nadel is in the collection of the Smithsonian’s National Museum of American History. The impact of Latinos on America’s history spans centuries. At center is the story of a community that has worked hard to belong to American society while still maintaining its heritage. Smithsonian Insider spoke with Mireya Loza, curator in the Division of Work and Industry at the Smithsonian’s National Museum of American History, to find out how this museum works to tell the story of Latino influence on U.S. labor and television history. Q: How do the American History Museum’s collections tell the story of Latinos in labor and television history? Loza: Latinos have a long history of migration, community, and ultimately of belonging. 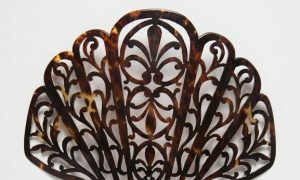 Objects help us trace that history through personal stories. For instance, I recently acquired a small collection of objects that belonged to Luisa Moreno, a Guatemalan immigrant who, in the 1930s, unionized seamstress struggling for representation in New York sweatshops and helped organize Mexican agricultural workers in the Southwest and California. Personal photographs, a book of poetry that she wrote before coming to the U.S., and other objects help illustrate her story and her journey to becoming a Latina activist icon. Mireya Loza interviews a Bracero Program participant in 2009 for the Smithsonian’s National Museum of American History. One of the first items that braceros purchased after arriving in the U.S. was a more comfortable (and warmer) pair of boots to replace their inadequate sandals. I saw photos of braceros arriving in their sandals and heard people talk about them. To him, the sandals didn’t represent his story. Bracero I.D. cards, on the other hand, are of great significance to many braceros—some still carry them in their wallets, decades later. 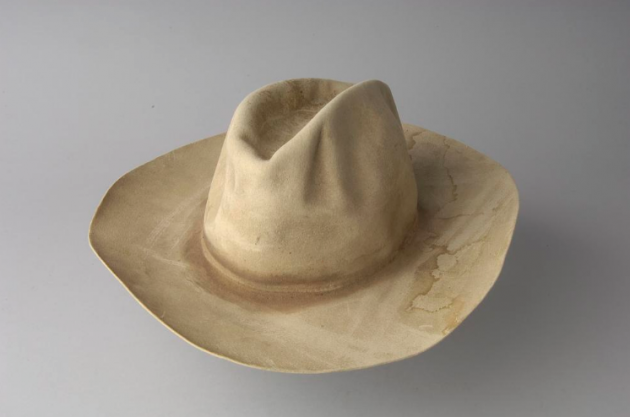 Savas Zavala Castro wore this hat when he worked as a bracero in California from 1942-1945. 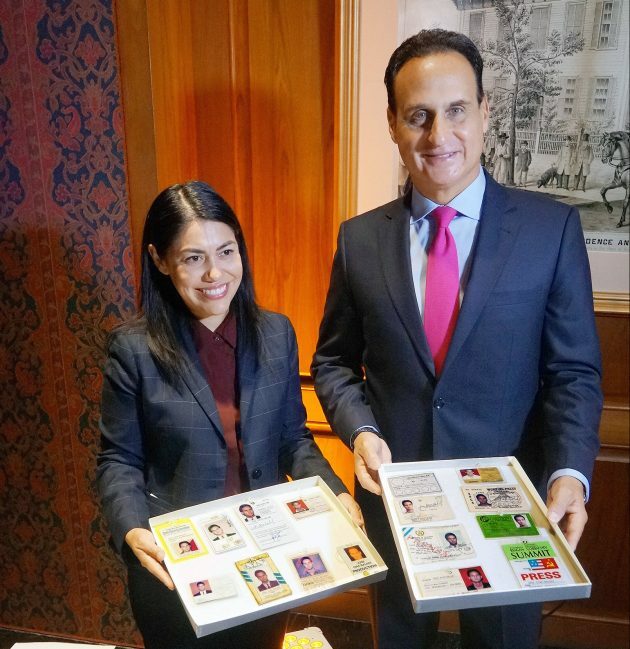 Gift of the Ramirez Zavala Family to the Smithsonian’s National Museum of American History. Objects aren’t the only way museum collections can tell the story of Latinos. Oral histories are an invaluable way to tell stories. I specialize in oral history interviews, which are like a historical document—every audio file and every transcript creates a record of who we are. Oral histories are powerful, primary sources that help us understand a moment in time directly from the people who lived it. We started recording oral histories in 2005 for the bracero project and now have around 800. 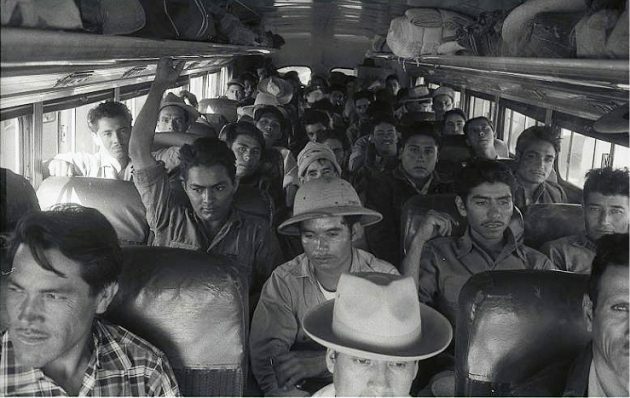 The younger participants are in their 60s, while the older ones are well into their 90s (the bracero program ran from 1942 to 1964). Their memories are still vivid years later—they remember how the program impacted their lives. This age range is also helpful in understanding the program’s progress, as it changed dramatically over the 22 years it was in existence. Through oral histories, we trace their memories along with archival materials to corroborate their stories. I am also collecting oral histories about the role of Spanish-language television in the U.S. The American History Museum has more than 60 oral histories from people in all levels of Spanish-language TV production—talent, behind the cameras, newscasters, producers, and more. We hear first-hand from them what it was like to create and work in that industry. It has been so meaningful for me to build these collections. It makes me think of how I was personally shaped by Spanish-language TV, remembering how I felt turning the channel and seeing programming that reflected my own culture and language. Now I get to act as a detective, untangling its historical roots. Q: Why do you think it’s important to represent Latinos in U.S history? Loza: As a curator, I feel that I have a personal duty to the American people to build collections and history projects that reflect who we are as a nation. Telling the stories of braceros and Spanish-language television assert how Latinos are a part of American history—it’s a powerful feeling. It’s a privilege to hear these stories, first-hand from the people who lived them and then share them with the public, especially with young people. 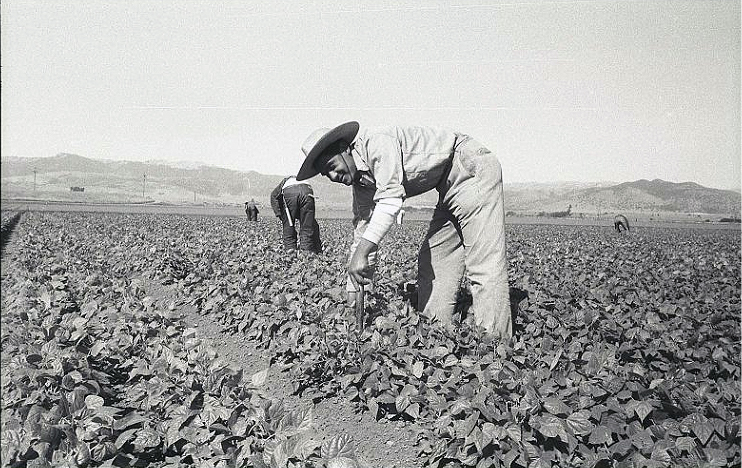 A bracero stoops down with a short-handled hoe to cultivate a pepper field in California in 1956. This image by Leonard Nadel is in the collection of the Smithsonian’s National Museum of American History. I want people to see our collections as a way to understand that the Latino story is complicated and has deep roots. I want them to learn it by tracing the steps that Latinos like Luisa Moreno took to help create a sense of belonging to this nation. I want to connect people of different backgrounds through the TV personalities they know and love, like Walter Mercado, who has shared his astrological predictions with viewers for decades. Q: What role have Latinos played in U.S. labor history? 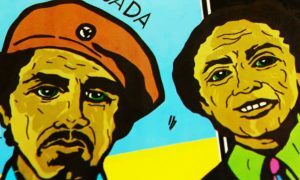 Loza: Labor history is my area of focus, but many people don’t realize how this history closely intersects with agriculture, migration and civil rights in the United States. For instance, to understand labor movements I have to look at the history of agriculture, which leads me to think about the ways agriculture has shaped migration patterns over the years. It’s interesting to think about where food comes from—to look at carrots on your plate and think about all the people who work in agriculture and the food industry, many of whom are Latino. Labor history also fascinates me because of how labor movements are vehicles for advocating for civil rights. I have researched many figures of labor movements. Many are well-known Latinos, like Cesar Chavez and Dolores Huerta, but I also research people most have never heard of, like Luisa Moreno, whose work helped shape Latino social activism in the U.S.
Q: How have Latinos helped shaped U.S. television history? Loza: American television history isn’t complete without acknowledging the role of Spanish-language TV. The American History Museum has a great television collection, but it was missing objects that tell the story of Spanish-language television. 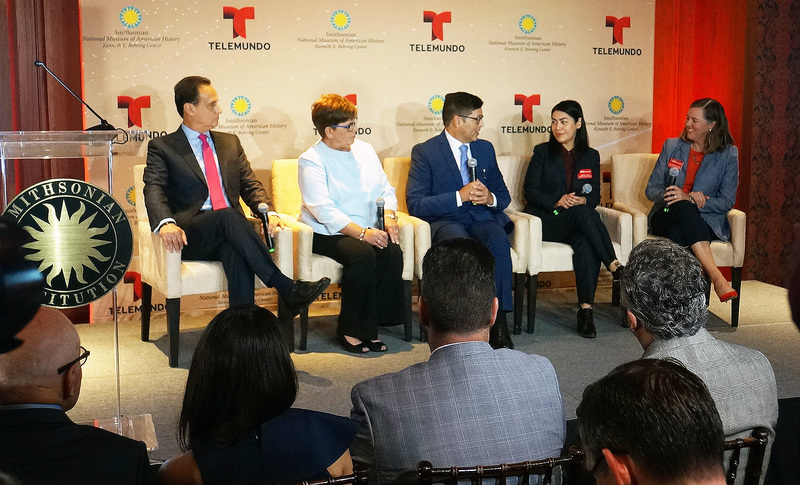 Stories about the many ways Spanish-language TV connects communities and gives Latinos from different countries, of different backgrounds and ethnicities, something in common. I grew up watching lots of Spanish-language television, tuning in to shows, including Don Francisco and El Chavo del Ocho. To tell the stories of how networks like Univision and Telemundo began in the U.S. is exciting. It gives us an idea of who we are as a community through the lens of television entertainment. 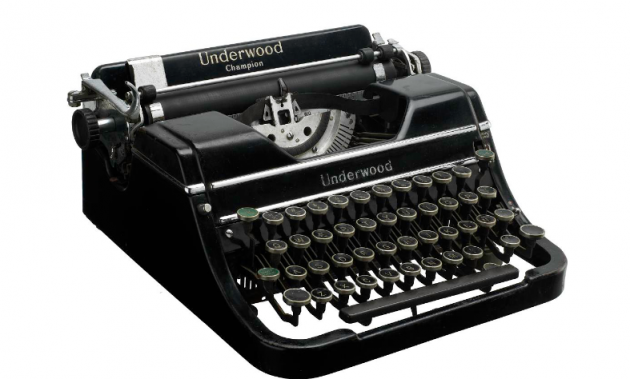 Raoul A. Cortez, journalist, and broadcaster got his start in Spanish-language media behind this typewriter, now in the collections of the Smithsonian’s National Museum of American History. Cortez was a reporter for the Spanish-language newspaper, La Prensa, in San Antonio in the 1930s and 1940s. He advocated for the civil rights of Mexican Americans and in particular for the rights of braceros and the desegregation of Texas schools. Cortez opened the first Latino-owned, Spanish-language radio station and later television station KCOR in the continental United States in 1946. This typewriter has an inverted question mark and exclamation point ensuring users could write in Spanish.